German tosafist of the twelfth or of the first half of the thirteenth century. 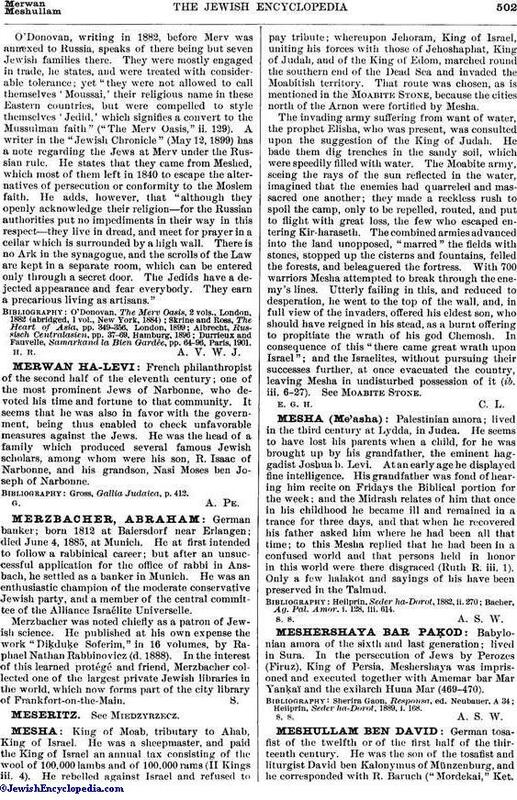 He was the son of the tosafist and liturgist David ben Kalonymus of Münzenburg, and he corresponded with R. Baruch ("Mordekai," Ket.ii. 149), with Simḥah of Speyer (ib. Ḥul. vi. 657, x. 737), and with Isaac Or Zarua' (Ḥayyim Or Zarua', Responsa, Nos. 103, 121). 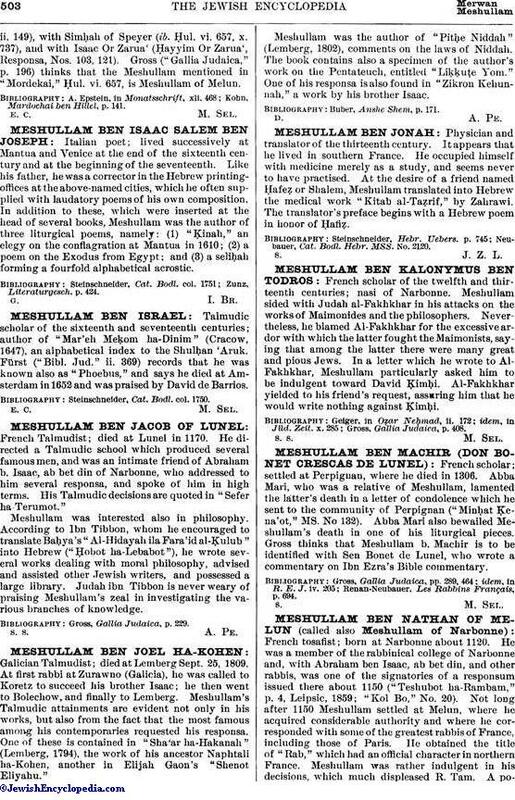 Gross ("Gallia Judaica," p. 196) thinks that the Meshullam mentioned in "Mordekai," Ḥul. vi. 657, is Meshullam of Melun.